The in-home care industry is constantly evolving, from regulatory updates to new payment models and staffing requirements. 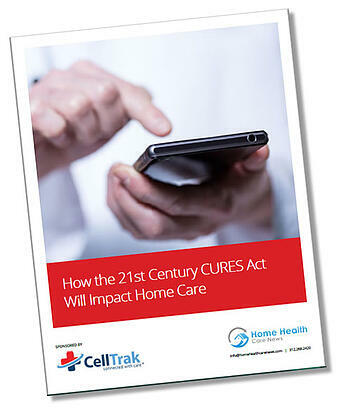 Adding to the list of changes, at the close of the Obama Administration, Congress passed a new law that will have a major impact on home care companies: the 21st Century CURES Act. The legislation is overarching in its aim to modernize the health care landscape. However, there are some very specific ways it impacts home care, some of which can be seen as distinct opportunities for providers nationwide.